Old school Black Metal masterpiece with V-REX (ex-ANCIENT, ex-AETERNUS, ARVAS), ISHTAR (MOONLIGHT), GRAVE (INFUNERAL, ex-ONDSKAPT), GJERMUND (TAAKE, FROSTMOON). A must have for every complete Black Metal collection. ? Mastered by Magnus Devo Andersson at Endarker Studio (RAGNAROK, MARDUK, OFERMOD, THE LEGION). ? "Kronet i Svart Eld" includes the following guests; Magnus Devo Andersson (MARDUK), Necrosadist (SORCERY, PATRONYMICON) and Fauk (HORDAGAARD). ? "This is like an amalgamation of all that is great about Norwegian black metal. No more words needed." - Battle Helm Magazine ? "If you like Norwegian satanic black metal, buy this EP, you will not be disappointed." 5/6 Norskmetal.net ? ?All fans of 90's satanic Norwegian Black metal should get this!? - Raw War Music ? 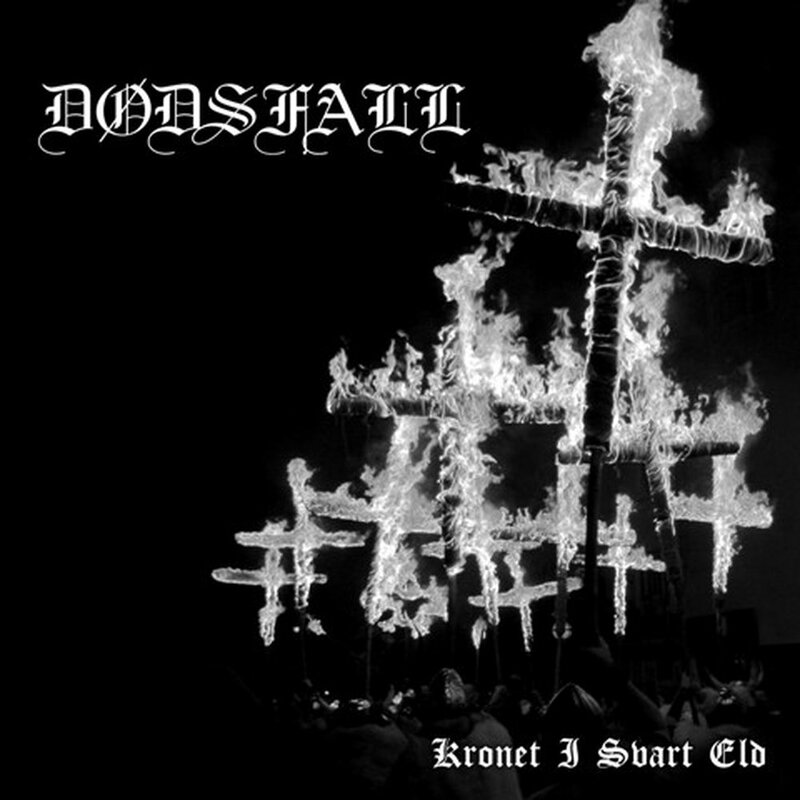 DØDSFALL will do a mini-tour in the Spring 2013 including Norway, Sweden, Denmark and Germany!